These pictures feature fall fashions in the food world. With a new emphasis on buying from farmer's markets, I have really come to experience the foods that each season has to offer. This fall it has been a lot of comfort foods such as soup and pasta being meshed with harvest flavors like cranberry, squash, zucchini, pumpkin and hominy. The result has been meals that are rich in flavor and depth without the heaviness in the stomach that typically accompany fall menu items. Fall.Food.Fashion by Tender Branson, a set on Flickr. Looks delicious! and so many of my favorite ingredients. yum! Food pictures are always fun, and these look delicious! Tender's website sounds good too, and I'll be sure to take a look. 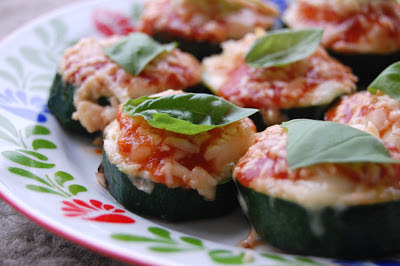 those zucchini bites look great - anyway to show the rest for a mobile? We're working on a solution for devices that don't accept flash (and so can not view the slideshow). From the main page, if you click on "continue reading" below the slideshow, you will now find thumbnails of each of the pictures of the show. We're still having trouble formatting those, but we'll continue working on the problem. Those stuffed sweet potatoes look amazing!